Partnership aims to encourage more home-grown FinTech start-ups and fuel Hong Kong’s I&T ecosystem. Photo: Heads of both parties signing MoU. 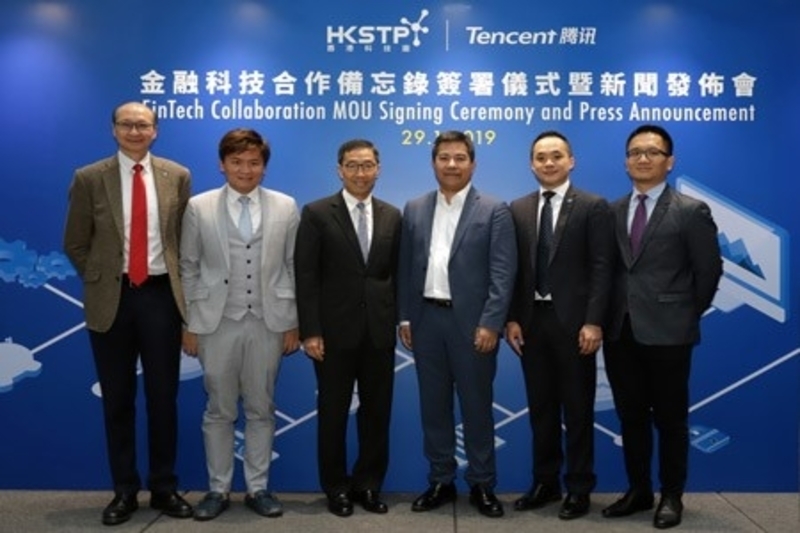 According to a recent press release, the Hong Kong Science and Technology Parks Corporation (HKSTP) recently signed a Memorandum of Understanding (MoU) with one of the world’s leading tech companies to accelerate the R&D development and deployment of Fintech in Hong Kong. 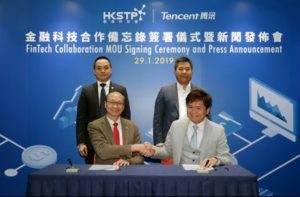 The partnership will combine the tech giant revolutionary and advanced technology capabilities with HKSTP’s infrastructure and vibrant innovation and technology (I&T) ecosystem. Through this MoU, the tech company will bring its resources and technological expertise in areas such as payment systems, electronic wallets, data security, Internet of Things, blockchain, artificial intelligence and cloud computing to HKSTP to benefit the park companies and incubatees as they foster various Fintech innovations. HKSTP will provide access to the park’s Research & Development capabilities, serving as a testbed for innovations powered by the tech company’s technologies, and developing case studies for the initiatives. The two parties will also consider setting up an experience centre at HKSTP’s premises for Fintech R&D. The cooperation will strengthen the innovation of artificial intelligence, robotics, healthtech and smart city. The tech giant and HKSTP will also work together to nurture and support the growth of start-ups in Hong Kong through exploring investment opportunities; establishing a talent development programme to facilitate and promote knowledge exchange among programme participants; launching a joint incubation programme and setting up an open technology innovation platform to support Fintech innovation and R&D. The Vice President of the technology group stated that as a leading provider of Internet value-added services in China, the company looks forward to the collaboration with HKSTP and to fostering the Fintech development in Hong Kong, as well as to cultivate the local start-up community. The tech company provides advanced financial technologies which make daily tasks easier, simpler and more secure. With our expertise and insights in a range of innovations such as payment, electronic wallets, data security, artificial intelligence and cloud. The company will also be leveraging its strengths, experience and network in the local Fintech industry and start-up community. It looks forward to working hand-in-hand with HKSTP and contributing to the Fintech growth and success in Hong Kong. The Chief Executive Officer of HKSTP noted that Hong Kong is fast becoming an international Fintech hub with more than 100 Fintech companies and start-ups at Hong Kong Science Park conducting R&D in technologies covering artificial intelligence, blockchain, cybersecurity and other key technologies. The addition of the tech company, a global technology powerhouse, will not only attract more technology companies and start-ups but also allows the park’s companies and incubatees to benefit from their knowledge and expertise, which will accelerate their speed to the market. It was added that the tech company’s wide range of experience will provide support at every phase of innovation, from proof of concept to industry sector applications and eventually commercialisation. These collaborations are vital to the park’s mission of bringing together tech enterprises of various scales, global talent, entrepreneurs, academics and visionaries to further strengthen the I&T ecosystem of Hong Kong.